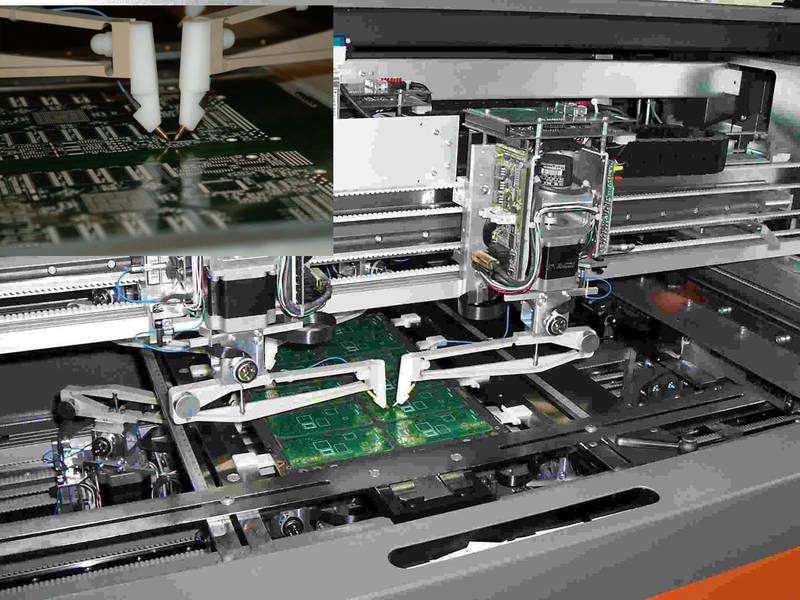 The electronic test (E-Test) for circuit boards is performed after manufacture. Your circuit boards are checked with a flying probe, or for larger series using an adapter E-Test. The layout is analysed according to the net list (from the Gerber data) for short circuits and interruptions. This is enormously important, because only the E-test detects incorrect and broken conductors. Without E-test the usability of your PCB is only a game of luck! The detected defective circuit board is rejected or marked within the panel. Advantage: From 2 layers, the E-Test is always included at Multi-CB! A popular misconception is that a once free of errors produced circuit board no longer needs to be tested by the E-test. However, because each production batch of a circuit board is a one-time process, the E-Test has to be conducted each time.